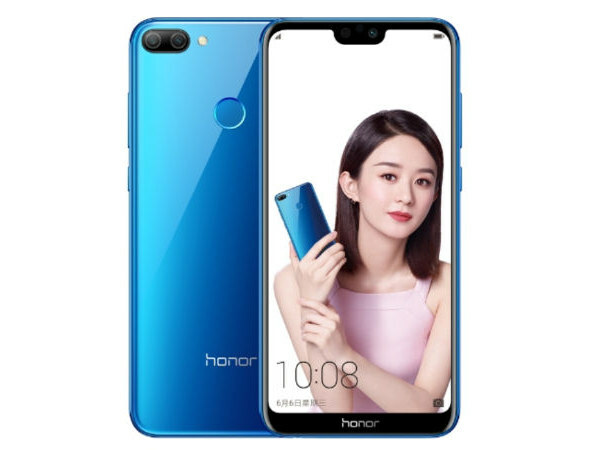 The Huawei Honor 9N, also known as the Honor 9I (2018) in China, is a mid-ranger Android smartphone announced back in July 2018. The device sports an infamous top-notch design which the Chinese smartphone maker has been in favor of since the release of the Huawei P20 flagship. The Huawei Honor 9N comes with a 5.84-inches IPS LCD display with a 1080 x 2280 pixels screen resolution which provides a decent graphical experience for its users. The device is powered by a Kirin 659 SoC and will be available in three different variants with 3GB+32GB/ 4GB+64GB/ 4GB+128GB memory configurations respectively. Camera-wise, the device comes equipped with a 13MP+2MP dual-camera setup at the back, as well as a 16MP front-facing selfie cam. On the back, there is also a fingerprint sensor as an additional security feature for its users. In terms of software, the smartphone will run on the company’s in-house EMUI 8.0 atop the Android 8.0 Oreo out of the box. A 3,000mAh non-removable battery is available under the hood to keep its lights on for a decent amount of time. If you’re interested in buying the Huawei Honor 9N, do check out the Huawei Honor 9N Singapore price list below to compare the its prices across various retailer and telcos in Singapore. If the Huawei Honor 9N prices are listed as TBA, it means the device is either not yet available in the Singapore market or not carried by the particular retailer or mobile carrier. Huawei Honor 9N - Where to buy? Display Protection Display Protection => Gorilla Glass is a special alkali-aluminosilicate glass shield with exceptional damage resistance that helps protect mobile displays from scratches, drops, and bumps of everyday use, It is always better to go for a smartphone with Gorilla Glass for that added protection and peace of mind. Primary Camera is able to capture photographs and usually videos, The most important characteristics of a camera are the resolution (measured in megapixels), lens focus type (fixed or automatic), higher megapixel cameras are known to capture higher quality photos, but not always a good measurement of the photos quality. User Interface UI or user interface of a device is the look and feel of the on-screen menu system. How it works, its color scheme, how it responds to button presses, all of these things are part of the user interface. Infrared Infrared connectivity is an old wireless technology used to connect two electronic devices. It uses a beam of infrared light to transmit information and so requires direct line of sight and operates only at close range. Web Browser Web Browser => a web browser is a software application used to locate, retrieve and display content on the World Wide Web, including Web pages, images, video and other files, The primary function of a web browser is to render HTML, the code used to design or markup webpages. @2018 - playfuldroid.com. All Right Reserved.